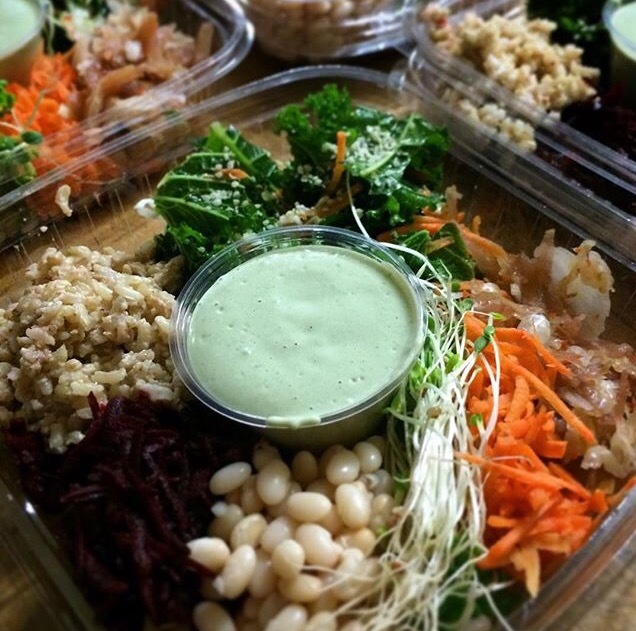 Following the principles of a Macrobiotic Diet, Macro Meals are designed to promote a healthy and balanced way of eating and living. 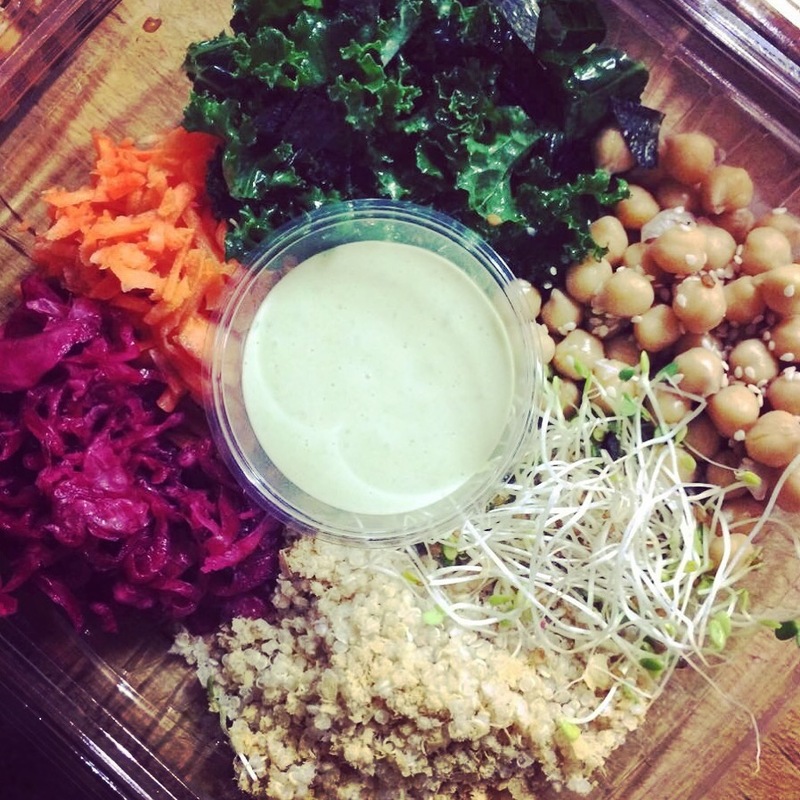 The word Macrobiotic comes from the macro which means big or “bios” which means life. One of the most important aspects of a macrobiotic lifestyle includes consuming foods that are rich in nutrients and have balancing yin/ yang properties. Through eating a macrobiotic diet, it is believed that consuming foods in their whole state, fresh foods that are local and in season, our bodies will get the ideal yin/ yang balance they need. For a lifelong healthy diet, it’s hard not to get behind eating this way!! The perfect balance of a macro meal is 50-60% whole grains(or if you are Paleo use lentils), 30%vegetables(raw and cooked) this includes fermented vegetables and sea vegetables, and 10% beans that includes bean products like tofu and tempeh. Nuts and seeds as well as fresh fruits are also important aspects of this diet and should be consumed daily. Desserts are fine in moderation, and using only brown rice syrup, barley syrup, and maple syrup as sweeteners. 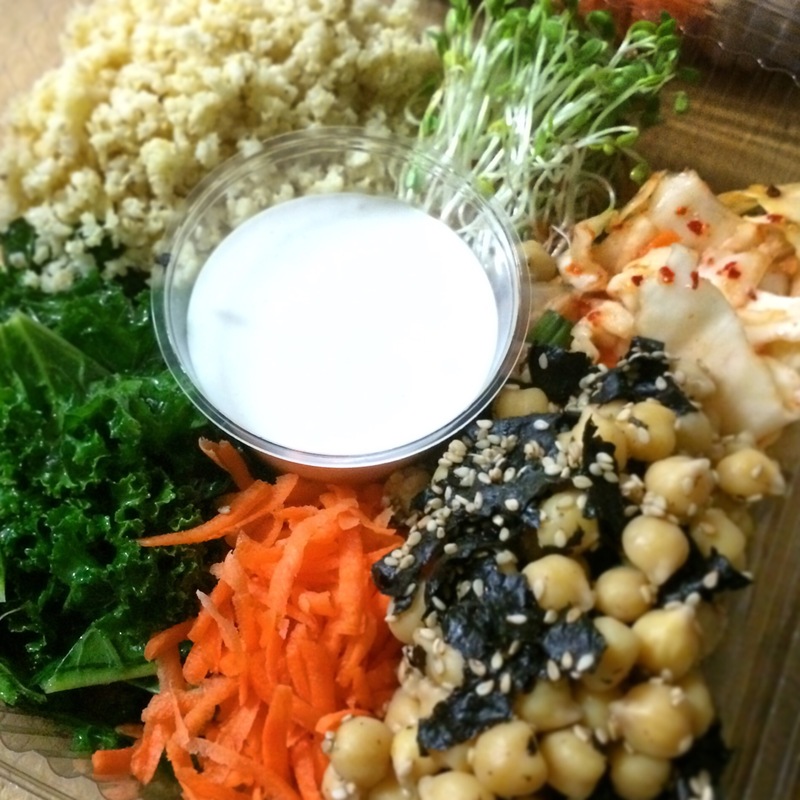 Some of my favorite combination are massaged kale, shredded carrots and beets, Kim chi or sauerkraut, chickpeas mixed with nori, tamari, and sesame seeds, sprouts, and quinoa with a delicious cashew based dressing. (Blend 1 cup of cashews with 11/2 cups of water, your favorite herbs, pickles, jalapeños….whatever flavor profile you like in a dressing basically. Use a high speed blender, or soak cashews first for 2 hrs. If you don’t have one). You could also do a vinaigrette for dressing. Easy, quick, and convenient macro meals are the perfect take to work meal. What a delicious way to pack in the nutrients to energize you for the afternoon. Alicia Silverstone has a cute name for this , “superheroe diet”. I bought her book a couple of years ago and since I have tried to eat as macro as I can! I love that name for it!! I know, right? It makes you feel extra special! Next PostNext Paleo Sesame Noodles!